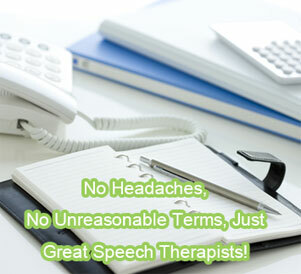 Speech Therapy Unlimited is your source for Speech-Language Pathology Staffing and individual therapy services. Treatment is provided in our Sugar Land office. 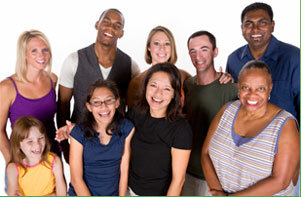 And, we place Speech Language Pathologists and their assistants in area Daycare Centers, Elementary and Secondary schools, Rehabilitation facilities, Senior Centers, and Skilled Nursing facilities. We are husband and wife speech geeks! O.K., O.K....we are a husband and wife Speech Pathology duo, and we work with an organization of fully Licensed Therapists. We are transplants from other states brought together by geography and we found each other in the great state of Texas. We not only found our common interests, we found our common need to utilize our education, knowledge, and skills to facilitate the positive growth and development of those with speech and language needs. Speech Therapy is All We Do! -Why should I listen to you? The short answer is...well, there is no short answer, but here goes. Each of our therapists share a common professional title, but have varied areas of expertise. We soon found that our varied skills meshed, and decided that uniting our therapeutic resources would lead to a company with unlimited therapeutic outreach. As a result, Speech Therapy Unlimited was born! And to broaden this outreach, we decided that providing quality speech and language therapists for area agencies and individuals would ensure greater possibilities for us to do what we do best! In short, We simply strive to provide speech therapy that works! Contact us we'd love to tell you more.